WE SHALL MAXIMIZE THE HUGE POTENTIALS IN OUR SEAPORTS FOR INCREASED REVENUE GENERATION….HADIZA. 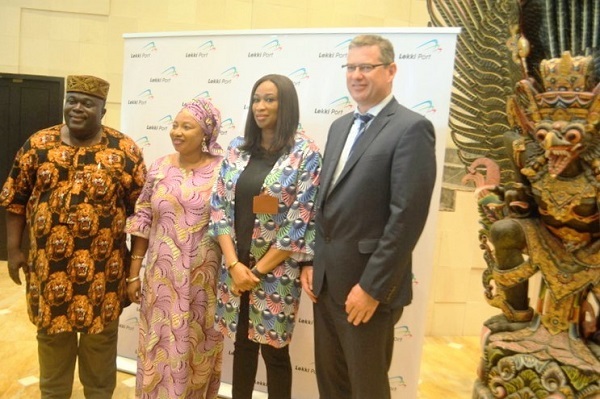 The Managing Director of the Nigerian Ports Authority (NPA), Hadiza Bala Usman has assured relevant Stakeholders in the Maritime Sub sector and beyond of the determination of the Management of the Authority at providing an enabling environment for investors to do business within the Ports across the nation in order to tap the huge economic potentials available in the sector for the growth of the nation’s economy. 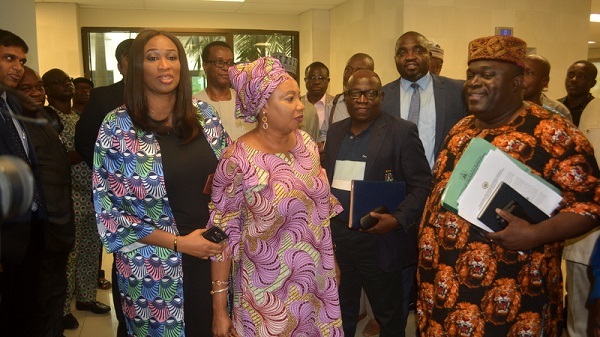 According to her, renewed efforts are being encouraged by way of partnership, collaboration and improved synergy amongst key players in the industry towards ensuring that the Management thrusts are realised within the nearest possible time. Hadiza, who was represented by the General Manager (Land and Asset Administration) Engineer Adams Jatto made these remarks whilst on a working visit with the visiting Presidential team, the Infrastructure Concession Regulatory Commission [ICRC] led by its Acting Director General Chidi Izuwah to the Lagos Free Zone [LFTZ] located in the heart of Lekki, Lagos . The acting Director General informed the gathering that the Presidential team was in Lekki Deep Sea Port to have a firsthand information and assessment of the state of infrastructural development that has taken place in the project since the Committee’s last visit with a view to providing all necessary technical support for its swift take off. According to him, the Lekki Port project when completed would facilitate amongst others a platform for the creation of 170,000 jobs for Nigerians, generate an increased revenue base for government and most importantly strengthen the Federal Government’s drive for the Ease of Doing Business in Nigeria as well as creating an enabling environment for the reception of bigger vessels. The General Manager Projects, Lekki Deep Sea Port, Mr Steven Heukelom, while conducting the guests on a tour of the facilities within the Ports stated that when completed in 2020, the project would boast a 16.5 meter depth base, thereby facilitating trans-shipment within the sub-Sahara Africa. On the facility appreciation tour was the assistant General Manager (PPP) NPA Yakubu Nana and the legal counsel/relationship Director Lekki Deep Sea Port, Adesuwa Ladoja. It would be recalled that Management of the NPA is prioritizing the execution of a 25-year Port Masterplan for the sub-sector in order for activities to thrive along the lines of best practices.